2068 years ago Julius Caesar had some difficulty from some tribes in Gaul. It wasn’t Asterix and Cacofonix, but very close. There were two kings, Ambiorix and Catuvolcus, of a Belgian tribe called the Eburones who rebelled against their Roman overlords. They fought very bravely and took out a sizeable chunk of the Roman legion based in the area, leading to Caesar camping there for months to oversee the campaign against them. He praised them for their bravery, but made them pay in the most vicious manner; Caesar effectively wiped out the entire tribe. Ambiorix has gone down in history as a Belgian legend and – King Arthur style – seemed to disappear. Catuvolcus was a lot older and, despairing at the bloodshed, took his own life by drinking the poison of a Yew Tree. Around five hundred years after this genocidal event had taken place, a Yew sapling was growing on a burial ground near, what is now, the Welsh border with England. Some eight hundred years on, that sapling was still alive and now a mighty specimen of a normally smallish tree. A Church was built on the holy land right next to this ancient tree. Turn the clock on more than seven hundred years again and you reach the present day. The church is still standing and so, remarkably, is that ancient tree. 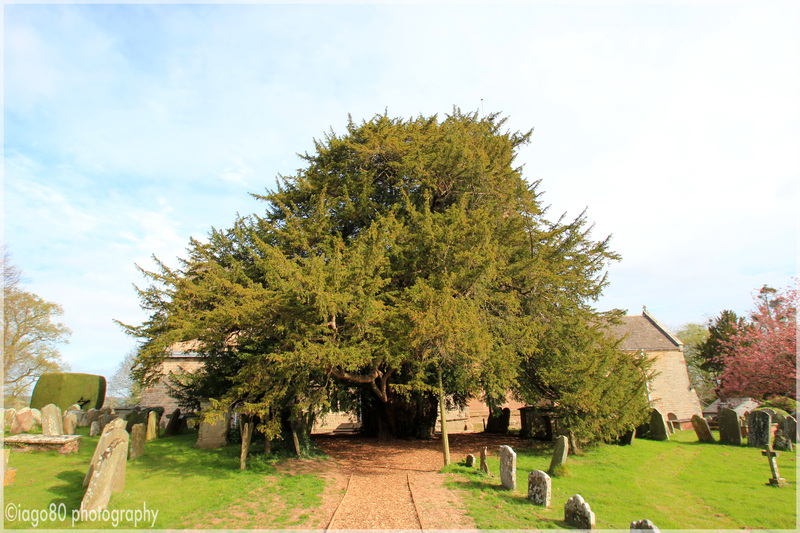 For a tree species that is described as small-medium, this 1500 year-old specimen has a trunk that measures almost 9.5 metres in circumference and it blocks out the church built in its shadow. As Catuvolcus knew well, Yew is deadly poisonous. Interestingly, the only parts of Yew that are not filled with poison are the juicy bright red berries. But the harmless flesh contains a hard seed that could kill a man if swallowed. The needle leaves are even more deadly and will likely stop your heart within hours of ingestion of even a small amount. For hay fever sufferers – like me – the Yew tree is rated 10 out of 10 for the potency of the allergenic pollen. Watching the wind blow a pollen-heavy male Yew is a natural wonder, but beware that you are not caught down-wind from that cloud of dust, as respiration problems, light-headedness and other nasty symptoms will surely follow. 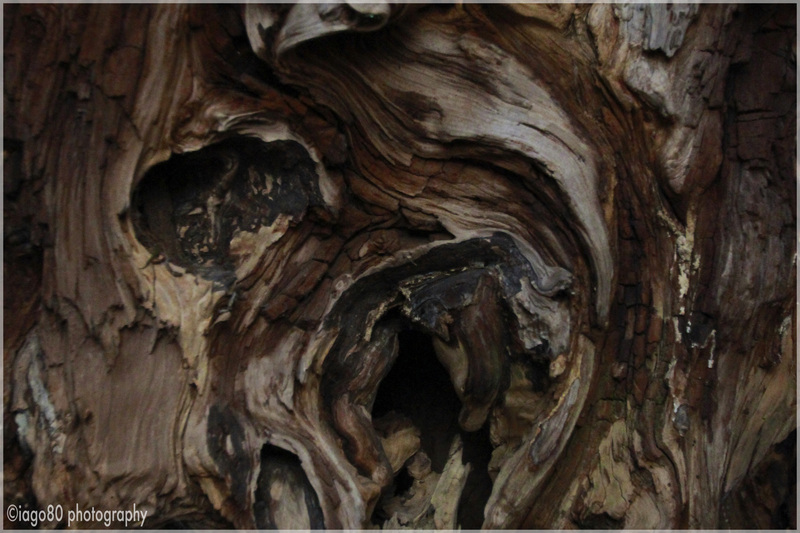 The tree in the photograph has become hollow over time. Its enormous girth has allowed the local people of Much Marcle to put a bench in it. Post Scriptum: It is hard to be believe, but across the border in Wales is an even more ancient Yew. In fact, at around 5000 years old, it is believed to be one of the most ancient trees in the world. 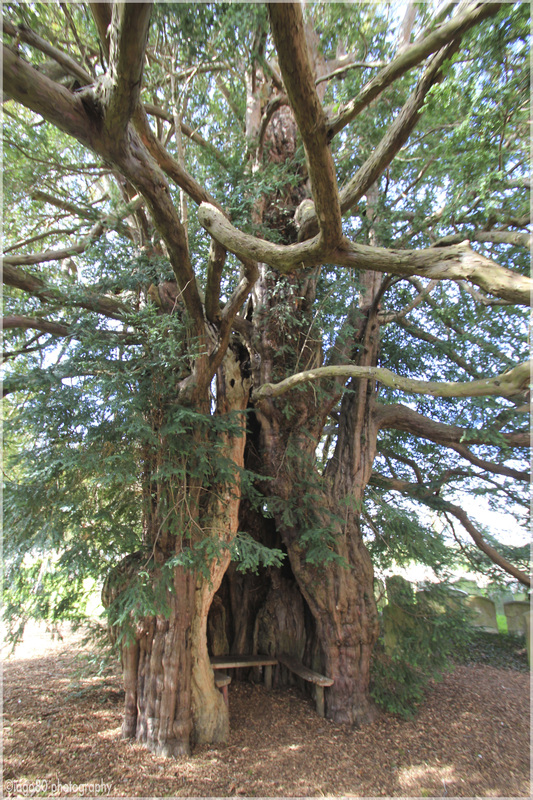 When the Much Marcle tree was sprouting from a seed, the Llangernyw Yew is believed to have already been a staggering 3500 years old – 3 millennia had passed it by before poor old Catuvolcus topped himself with a draught of poison from the dried needles of one of its European cousins. This entry was posted in Flora, history, philosophy, photography, religion, Travel, wildlife and tagged ancient history, botany, Catuvolcus, Fred West, Gaul, Julius Caesar, magic, Much Marcle, murder, poison, Romans, story telling, travel, trees, Wales, wildlife, Yew on May 27, 2015 by iago80. A really interesting article, hard to ‘put down’. I’ve learned something new, so very early in the day. Thank you.